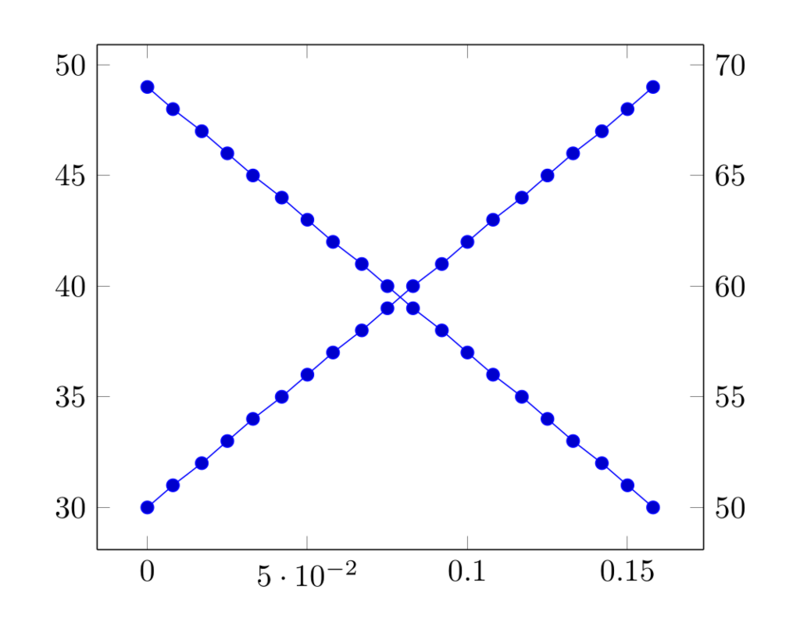 pgfplots: How to add time axis as second x-axis? 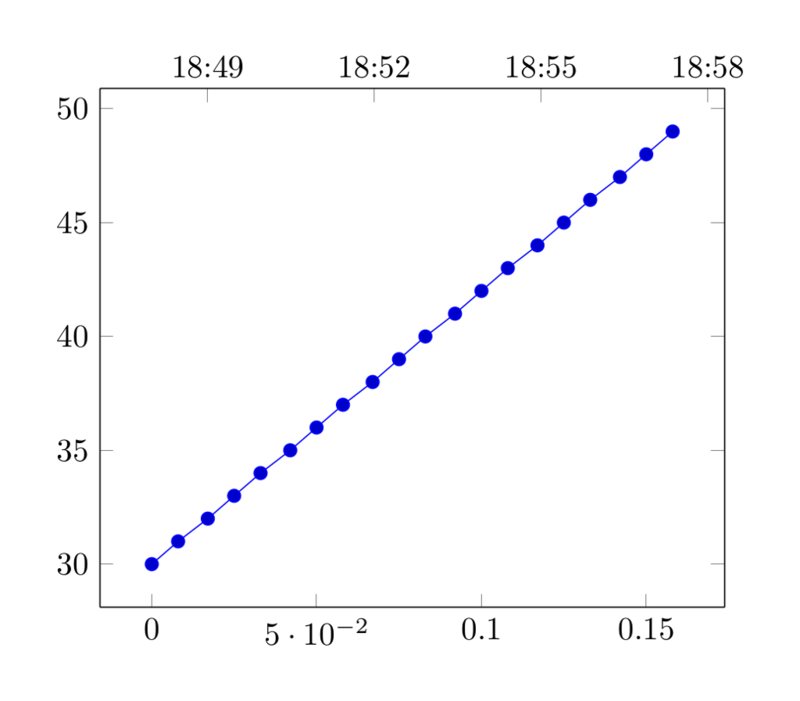 I preprocessed a series of data into a time column and a further column with time distance to zero, the latter as decimal value. How can I display the time column as a second x-axis above the diagram? As you can imagine, the "real" time column and the column "time distance to zero" should match their lines. 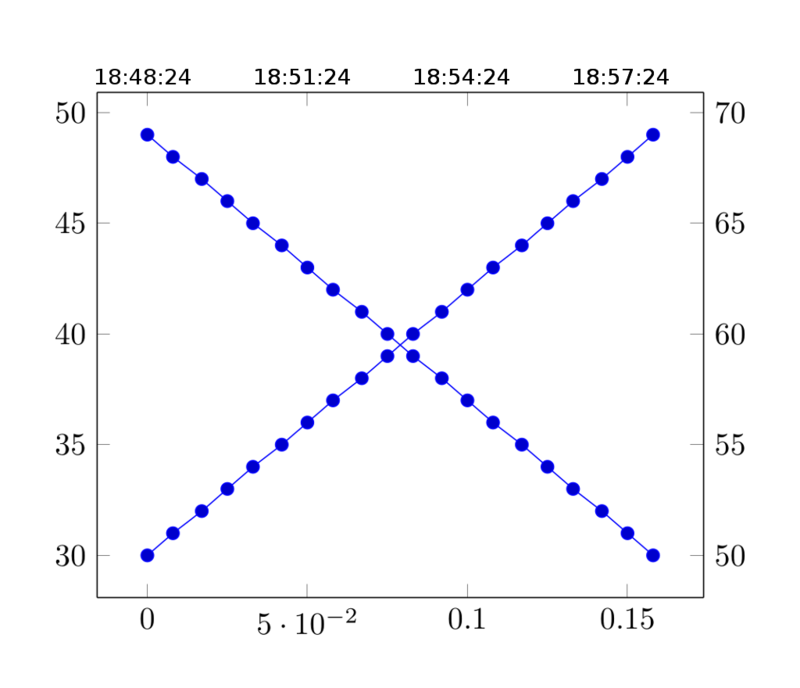 Important: The graph of the "numeric" x-axis and the graph of the "datetime" x-axis should have the same data extent, otherwise the lines won't match. Not the answer you're looking for? Browse other questions tagged tikz-pgf pgfplots datetime axis or ask your own question.